During the eighteenth century a number of men achieved the status of national hero, the most famous of them being the legendary Captain James Cook (1728-1779), the man who spent his life exploring and mapping; Newfoundland, Australia, the Hawaiian Islands and New Zealand for the British Crown. 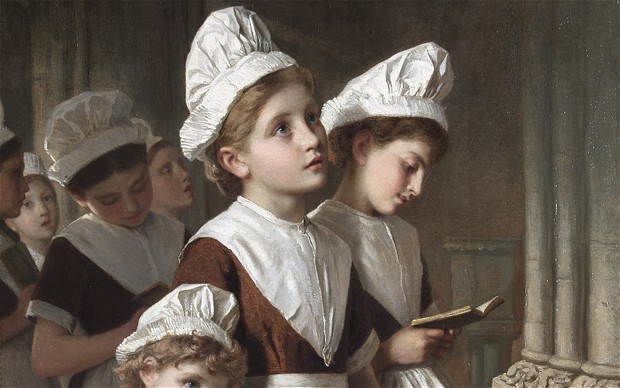 The eighteenth century was a time when the British Establishment was looking for new types of heroes – heroes for the new age of enlightenment. Cook was the embodiment of this new type of hero. He was not of them, the Establishment that is, he had achieved his rank on merit. He was not only a military man he was an explorer. A man engaged in the exercise of Empire building. His life was relentlessly hard, away from his family for years on end but he did it without complaint. His death was viewed as a national tragedy and a cautionary tale. After 1779 British Officers would never be so trusting of the indigenous peoples they encountered on their journeys. During the Seven Years’ War, Cook served in North America as master of Pembroke (1757) In 1758 he took part in the major amphibious assault that captured the Fortress of Louisbourg from the French, after which he participated in the siege of Quebec City and then the Battle of the Plains of Abraham in 1759. He showed a talent for surveying and cartography, and was responsible for mapping much of the entrance to the Saint Lawrence River during the siege, thus allowing General Wolfe to make his famous stealth attack on the Plains of Abraham. In 1766, Admiralty engaged Cook to command a scientific voyage to the Pacific Ocean. The purpose of the voyage was to observe and record the transit of Venus across the Sun for the benefit of Royal Society inquiry into a means of determining longitude. Once the observations were completed, Cook opened his sealed orders and started the second part of his voyage: to search the south Pacific for signs of the much postulated rich southern continent of Terra Australis. He sailed around New Zealand and landed on Australian soil on 19 April 1770, and in doing so his expedition became the first recorded Europeans to have encountered its eastern coastline. Two years later as the commander of HMS Resolution with his companion ship HMS Adventure he circumnavigated the globe at an extreme southern latitude, becoming one of the first to cross the Antarctic Circle on 17 January 1773. On his last great voyage Cook was charged with looking for a north-west passage around the American continent. He sailed via Cape Horne and into the Pacific Ocean stopping off at Hawaii and the Sandwich Islands. Cook sailed as far north as Vancouver Island than turned back and was killed in an altercation with the local Hawaiian chief on 14 February 1779. 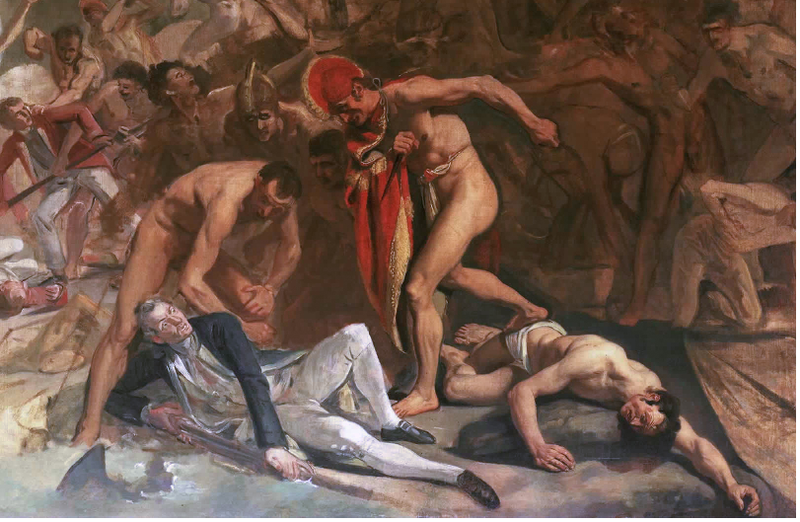 Picture: The Death of Captain James Cook, Johann Zoffany, circa 1795.